Jam for Justice is a non-profit organization that seeks to support local organizations by showcasing up-and-coming bands in front of eager audiences with all profits going to charity. This Friday, the stage was set for their sold out spring concert with Dans la Rue, a local homeless charity, receiving the fundraising. Every set bled youthful passion as guitar solos and bountiful energy constantly inhabited the stage. The setting was viciously positive with nearly every song from each band generating roaring cheers from the crowd. In general the bands were unpolished and seemed to still be refining their songwriting, however, the platform provided by Jam for Justice was ideal for young musicians to explore their potential. Everett Bird got the crowd moving with their danceable rhythms and fun, sunburst vocals. On the Jam for Justice event page, Everett Bird is described as west coast prog-rock, which is a bit of a humorous take on their sound, but it somewhat reigns true. The band presents a more intriguing take on the summertime, indie rock vibes of Los Angeles through the use of complex time signatures and quickly transition rhythmic ideas. Each verse was broken by an instrumental fill and their songs had many contrasting sections that they somehow managed to cohesively navigate never struggling to maintain a laid-back sense of ease. There were parts of the set that felt a bit monotonous though. The west coast style didn’t change a whole lot and the band never really took the tempo down for a ballad but, it is also noteworthy that they still seem to be evolving. Beginning with songs from their Oh No! Yoko days, Everett Bird eventually started playing some new songs that showcased their new guitarist. These tunes seem to be a bit more put together and it should be interesting to see more diverse songwriting from them in the future. Two things stuck out to me during Sick’s set. Joe Toner’s voice and Graham Webb’s guitar solos. Their set began with a slow groove that Toner sang over beautifully. As the energy built Toner moved to the side to allow Webb to weave a guitar solo that brought the band into faster tempos with his high intensity licks spanning the entire range of the instrument. The rest of their set explored new grooves with Webb’s solos never failing to shock the supportive crowd. My criticism of this group would be that their two main attractions didn’t balance out. Toner didn’t sing enough and their song structure rode the talent of their guitarist too heavily resulting in a bunch of unstructured groove tunes. As they continue to develop, I hope to see more effort placed on songwriting and possibly more instrumentalists added to the group. A keyboardist or horn player could add more excitement to the group by providing a contrasting soloist. Closing out the night was beat-maker/vocalist Homeshake who provided a nice late-night, electronic sound to the evening. His dense beats were contrasted nicely by his soulful vocal performance. The addition of funk influenced keyboard fills added a bit of intrigue to a semi-typical Montreal set-up. 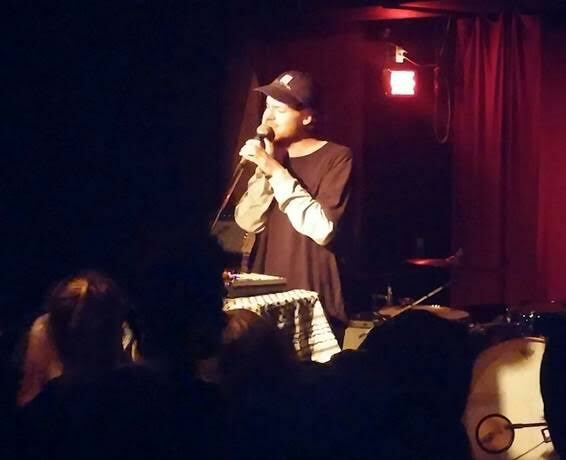 Also, each song melted into the next rather than coming to a stop, which helped Homeshake encapsulate the audience. I do still feel like more could have been done with his songwriting. The vocal melodies got a bit repetitive and the instrumentals never picked up the pace remaining at just about the same tempo for the entirety of the set. Homeshake provided a nice end of the night aesthetic to the venue, but a few fast paced songs could have made his set a bit more exciting. In general, every musician served their university student crowd well. La Vitrola was packed with dancing McGill students and everyone generally seemed to be having a great time for a fantastic cause. I will say that the vibe was a bit different from that of the Oh-Hi Collective Concerts and other concerts that involve the Montreal heavyweight acts of the CKUT charts. It was clear that the crowd wasn’t chock full of avid concert goers and the bands didn’t take the same risks that are usually featured at La Vitrola, however, a Jam for Justice event is sure to present a fun time for people who are new to the Montreal music community and their spring benefit concert reflected that.